In the State of New Hampshire, the family law attorneys at Lucas Law PLLC, in the Lakes Region of New Hampshire, are committed to ensuring that issues and challenges related to child support are dealt with in a thorough, proper, and expedient manner. They understand that child support is an integral and important aspect of any divorce that involves minor children. That means that the proper calculation of child support is essential to a child’s welfare, as is a complete description of all agreements pertaining to it. Is Child Support Being Paid? There are times that, despite the fact that there are strict laws governing it, child support does not get paid. Sometimes, even after court ordered child support, the parent will not take care of their responsibility. This occurs for various reasons, including disagreements between the former spouses, which then spillover into areas that affect their children such as payments for child support. Other reasons as to why some parents don’t pay child support include the fact that some former spouses simply believe that the custodial parent does not need the child support money; the feeling that they cannot afford to make payments, or the belief that they do not have such a responsibility towards their child. Also, for one reason or another, some parents simply do not act responsibly when it comes to caring for their child. But no matter what the reason may be for a parent being negligent in child support payments, the family law attorneys at Lucas Law PLLC, will passionately defend the rights of minor children and are dedicated to making sure that child support payments are fair, and that they are made in a timely manner. Child support is based on the basic fact that when two people have a child each parent has a responsibility for providing financial support for that child. Thus, child support is based on the belief that when a divorce is granted that although the marriage is no longer intact, that a parent’s responsibility to their child is and that no matter which parent’s home the child occupies, the minor child requires adequate fiscal support. 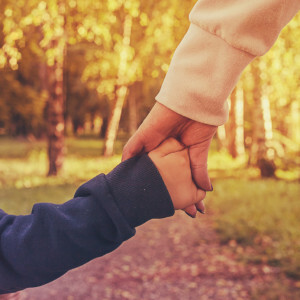 At Lucas Law PLLC, in the Lakes Region of New Hampshire, we believe that child support is a matter of ensuring that a minor child has the opportunity to grow up in a healthy manner where they know that both parents care about and love them. It is important to realize that there are specific safeguards concerning child support, and that if a parent is not meeting their obligation, the state can use their power to enforce support provisions that are outlined in the formal dissolution of marriage decree as issued by the State of New Hampshire. A lawyer who is experienced in family law and divorce can help you determine if the child support that you are requesting is adequate enough. However, the state has specific methods of calculating child support payments, which include considering the parents’ combined net income. Other elements that are accounted for include how many children are in need of support and how much time a child will spend with each parent. Then it’s determined what percentage the paying parent’s income is of the overall, combined incomes. From those figures, child support is determined. If you have minor or dependent children and are involved in a divorce or if you have been granted child support but your former spouse is not meeting their obligations, then Contact child support attorneys at Lucas Law PLLC, in Laconia, Gilford, Rochester, Meredith and throughout New Hampshire or Call at (603) 581-7102. We are aggressive and passionate in our efforts to make sure that both parents properly support children of divorce. Contact us today for more information on child support or to arrange a free, no-obligation meeting with one of our divorce lawyers.